There has been a consistent upsurge with new computer technologies while the hackers storm the virtual space with new sophisticated malware attacks like viruses, spyware, and ransomware, which can compromise your personal security and identity and also your finances. We as users have to be wary of keeping out computers protected. Windows 10 is the most commonly used operating system are found to be more susceptible to malware attacks. So how do we protect the computers? The latest online threat Wanna cry ransomware attack has breached systems and networks of both individuals and businesses small and large from over 150 countries causing a mammoth fall of $4 billion. If you are using a Windows 10 PC and you are still not protected, it is never too late – Here are five best antivirus options to stay protected. Comodo Antivirus for Windows tops it all – delivering free virus protection with smart and robust features to safeguard your computers even from the most vulnerable unknown threats and zero-day attacks. AVG antivirus software stands one of the best virus protection software. It offers both paid and free versions – This virus protection software obstructs malware URLs, battles and protects you from malware. However, AVG is not reliable in phishing protection and the scanning process is slow as well. Symantec is well known for its consistent virus protection offerings it provides for years. The virus protection software offers protection against malicious threats, ransomware and more. However, the scans are run slow and the customer support is not at suffice. Malwarebytes is another virus protection software to protect malicious software. However, the free antivirus software version doesn’t provide complete protection. Each of us is reliable on computers to store our personal and financial data both for our personal and business needs. So there is an inevitable demand to arm the system with the right security program. 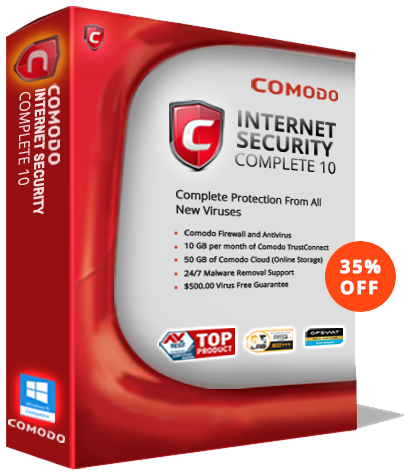 Comodo Antivirus for Windows 10 assures the best security with some of the latest methods like sandboxing, containments, Host Intrusion Prevention (HIPS) and Default Deny Prevention.